100% Cotton.Wash at 40C, spin or wring. 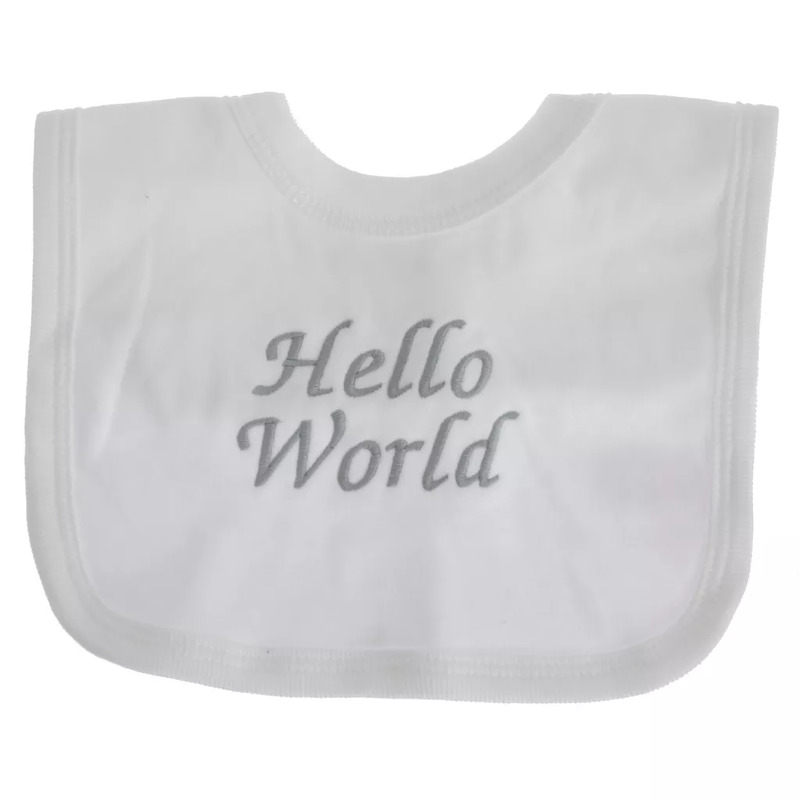 Babys bib with hello world embroidered to the front. Wash at 40C, spin or wring.